What's New on the 2017 MKC? Lincoln's premier luxury SUV is back for another model year, and this year, the 2017 Lincoln MKC sports several terrific in-car technology enhancements, as well as new safety and convenience features. Continue reading our latest MKC review to see why this luxury family car remains a popular choice amongst shoppers around the Dallas area. A five-passenger compact luxury SUV, the 2017 Lincoln MKC in Grapevine offers a host of fantastic features that families around Dallas are sure to love. 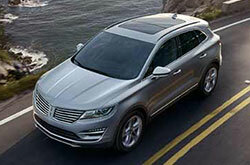 Lincoln has offered shoppers four trim options on SUV, including Premiere, Select, Reserve and Black Label. Standard equipment across all trims includes everything from 18-inch wheels, leather upholstery, remote ignition and LED running lights to tinted rear windows, Bluetooth connectivity and heated front seats. 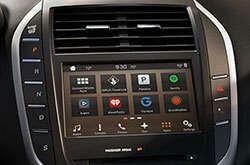 New for this model year is the addition of Apple CarPlay and Android Auto to the SYNC 3 infotainment interface, as well as a standard power liftgate and automatic brake hold. If you're looking to get the most luxury features on the SUV, many 2017 Lincoln MKC reviews suggest choosing the range-topping Black Label model that comes with such amenities as upgraded leather seating, unique exterior and interior trim, special color choices and 19-inch wheels. The main power source for the 2017 Lincoln MKC near Dallas is a turbocharged 2.0-liter four-cylinder engine that produces a healthy 240 horsepower and 270 lb.-ft. of torque. Drivers who want a bit more horses behind the luxury SUV will have the option of choosing a 2.3-liter four that bumps the power up to 285 horsepower and 305 lb.-ft. of torque. Both engines are paired with a standard six-speed automatic transmission that gets excellent agility and smoothness out of the SUV. As a bestselling luxury SUV in the Dallas area, it's no wonder that 2017 Lincoln MKC reviews have called out the SUV's many standard and available safety systems. Shoppers will find standard features like antilock brakes, side curtain airbags and front side airbags on the SUV, as well as the teen driver MyKey system. Optional advanced safety features include lane-departure warning, frontal-collision warning and blind-spot monitoring, just to name a few. Visit Grapevine Lincoln to today to take the 2017 MKC for a test drive! Considering a new car to own in the Dallas area? If so, don't just check out the 2017 Lexus NX, BMW X1 and the Infiniti QX30; be sure to contemplate the dapper 2017 LINCOLN MKC along with these options. Its wide selection of innovative features and chic design may be just what you need from a car. After using our 2017 LINCOLN MKC review and compare page, view hot-off-the-press exclusive offers online! 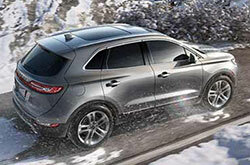 Want to see the latest incentives on the new LINCOLN MKC? 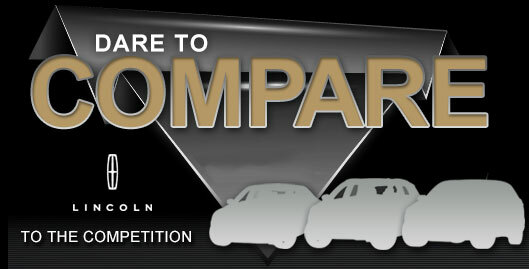 Then make a note to visit us - your in-town LINCOLN dealer. To make an educated purchase, it's essential to look at 2017 LINCOLN MKC reviews; we have made it our duty to help with this by providing the details and specs you require right here on our site. 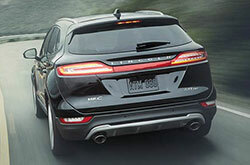 You can find LINCOLN MKC inventory at Grapevine Lincoln - we encourage you to come in for a test spin. Would you like to see it in action before you stop by? View our video clip to see its modern design.